Take part in a lively discussion a variety of books during the Women's Night Out book club! 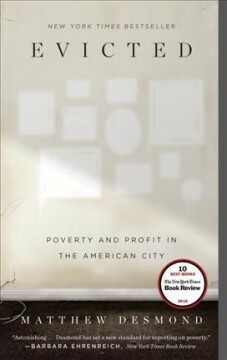 The book selection for March, "Evicted" by Matthew Desmond, follows eight families in Milwaukee as they struggle to keep a roof over their heads. Even in the most desolate areas of American cities, evictions used to be rare. But today, most poor renting families are spending more than half of their income on housing, and eviction has become ordinary, especially for single mothers. In vivid, intimate prose, Desmond provides a ground-level view of one of the most urgent issues facing America today. No registration is required and new people are always welcome! Call 715-261-7230 for more information.